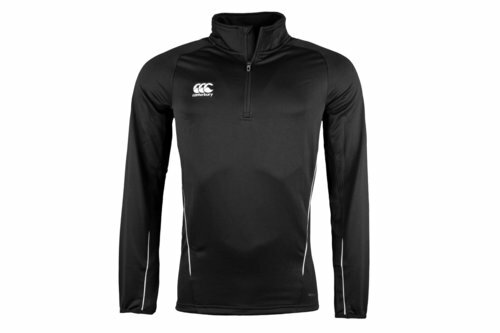 Give training your all when you pull on this Canterbury Team Mid Layer Training Top in Senior Black. This Canterbury mid-layer top has been crafted for training with the Vapodri technology included which is designed to help keep the wearer feeling cooler, drier and more refreshed when in action by drawing sweat away from the skin and quickly drying off. 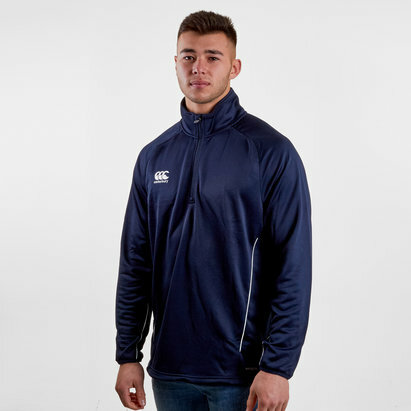 Made from polyester, while there's little in the way of technical features you're still well looked after with an elasticated drawcord waist, zipped side pockets and a ¼ zip down the neckline. It has all you really need as you wouldn't want to be distracted from your training.